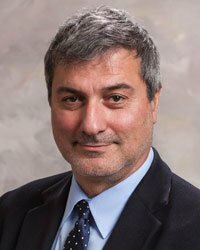 Macchiarini was once heralded as the first surgeon to transplant a trachea seeded with patient’s own stem cells, but has been dogged by accusations of misconduct in 2014. After KI initially cleared him of misconduct, they reopened an investigation following a documentary and a piece in Vanity Fair alleging additional misdeeds, such as operating on patients in Russia who were not unwell enough to warrant such a risky procedure. The fallout from this case has led to several high-profile resignations, including the secretary general of the Nobel Assembly, KI’s vice-chancellor, and the dean of research. Last monht, KI announced that it would not extend Macchiarini’s contract, asking him to phase out his research by November 30. I do not accept any of the findings of the Disciplinary Board. I have instructed lawyers and will be taking immediate steps to restore my reputation.